The District owns and operates a municipal wastewater treatment plant capable of treating up to 2.5 million gallons of wastewater per day, on average. The plant is run by a staff of licensed operators with many decades of combined experience. In simple terms, the treatment process involves providing the optimal conditions for natural degradation of pollutants in the wastewater. 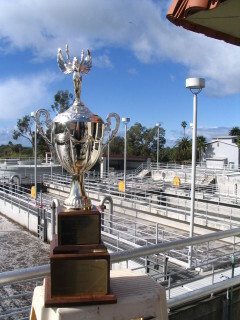 The District’s treatment plant produces a high quality, disinfected effluent that consistently exceeds state and national standards for ocean discharge. Please call the District office at (805) 684-7214 for more information or to schedule a tour. Click here for a virtual tour of our Wastewater Treatment facilities.